Ian Williams is a comics artist, doctor and writer, now living in Brighton. 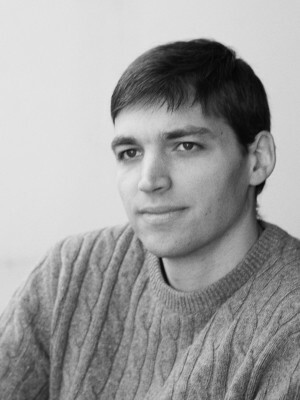 He has studied Medicine, Medical Humanities and Fine Art and he founded the website GraphicMedicine.org, coining the term that has been applied to the interaction between the medium of comics and the discourse of healthcare. 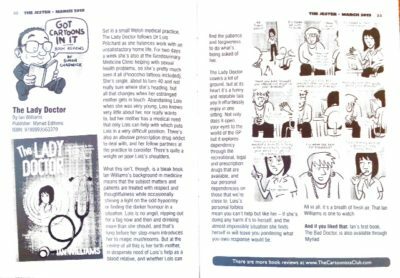 Williams’s attempt to find some common ground between his two careers led to the creation of his own comic strips in 2007, using the nom de plume ‘Thom Ferrier’ to maintain some anonymity while still working in rural general practice. Populated by a cast of flawed characters, and shot through with gallows humour, his stories explore the darker side of medicine, revealing the harsh realities of human interaction and behaviour during times of stress and fear. 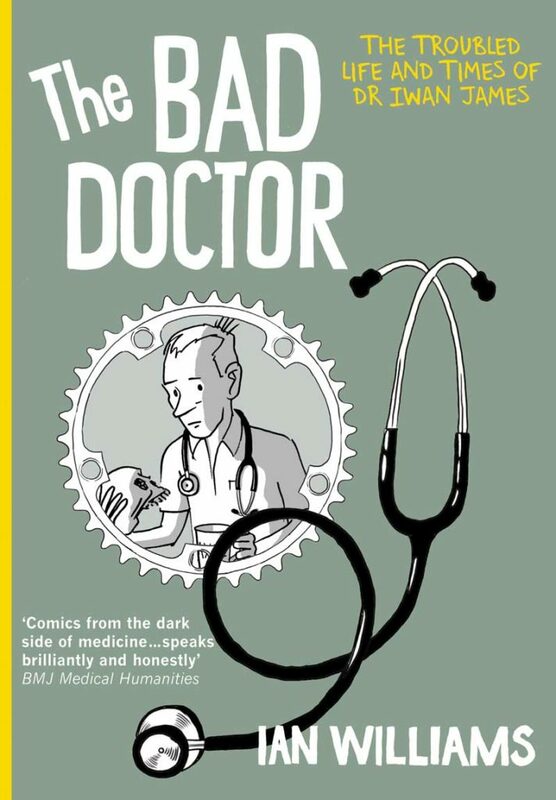 The Bad Doctor, his debut graphic novel (Myriad, 2014), was highly commended by the British Medical Association at the Medical Book Awards 2015. 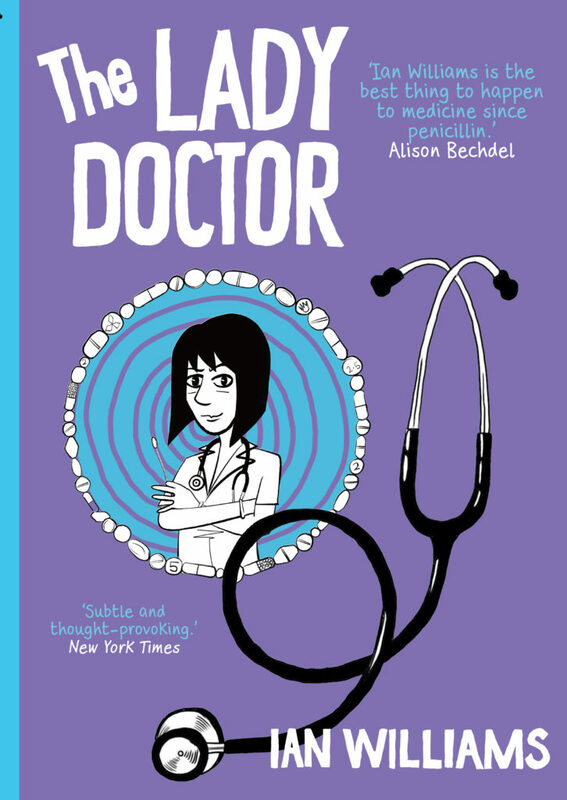 His latest graphic novel, The Lady Doctor, was published by Myriad in January 2019. 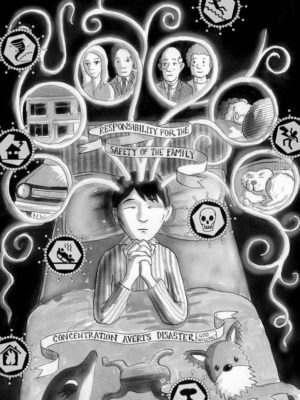 Visit Ian’s website here and the Graphic Medicine website here. 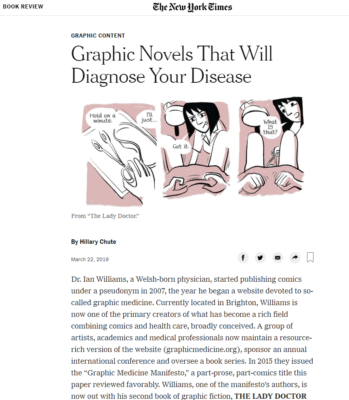 The Lady Doctor (Myriad, 2019) reviewed by Hillary Chute for The New York Times. ‘What makes this book fascinating is its sensitive portrayal of Lois’s interactions with a range of patients. In recurrent, wordless pages throughout, with his clean and fluid black line art, Williams illustrates the rhythm of Lois’s professional routine through whom and what she encounters: an assortment of faces, body parts and affects streaming by in an even staccato. 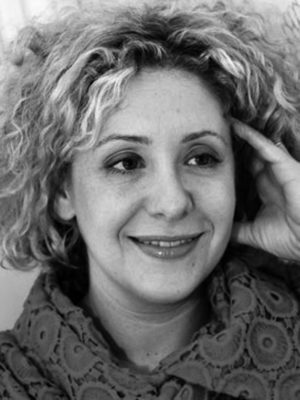 Medicine, humour and the art of drawing stories. 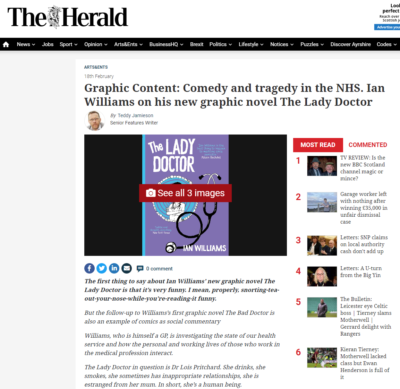 Ian Williams shares his new graphic novel, The Lady Doctor on Resonance.FM. Ian featured in The Jester, March 2019. 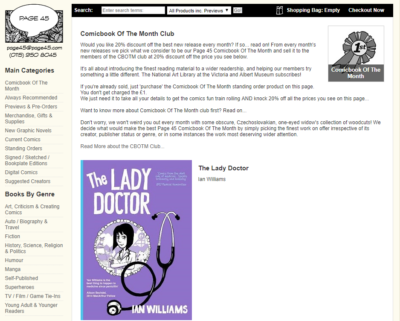 The Lady Doctor was chosen as ‘Comicbook of the Month’ by Page 45 – who else? Read the full interview with Ian by Teddy Jamieson for Herald Scotland over on their website. 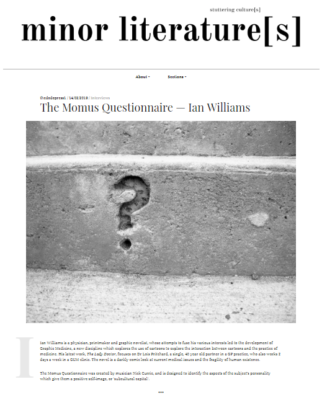 ‘OCD is not about being punctual or tidy: the clue is in the ‘disorder’ bit of the diagnosis.’ Ian discusses The Bad Doctor, The Lady Doctor and his irresistible charm in an interview with Minor Literatures. Read it online here. 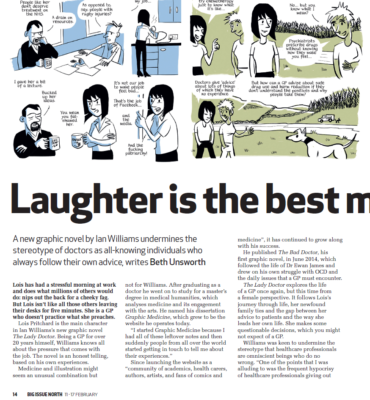 The Lady Doctor featured in The Big Issue, including extracts from the graphic novel and a mini interview with Ian. 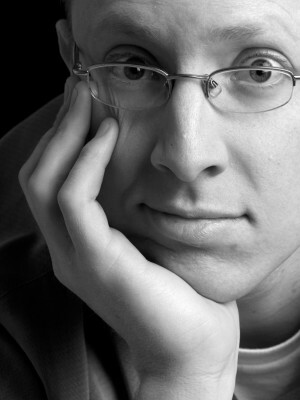 Listen to Ian Williams discussing The Bad Doctor and the artistic side of medicine, in this exclusive interview with California-based Dr. Paddy Barrett, curator of The Doctor Paradox website and podcast. 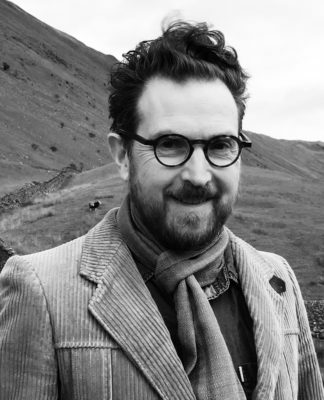 Read more of Ian’s article for the Independent in which he discusses his experience of OCD and how this has informed his work. 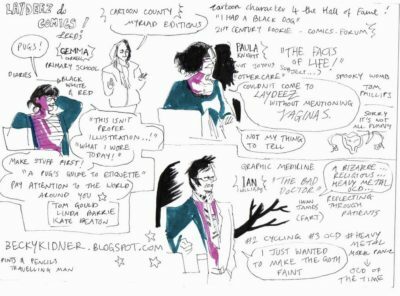 Ian Williams and fellow Myriad graphic novelist, Paula Knight, took part in graphics salon Laydeez do Comics to discuss their respective graphic novels. Comic artist Jules Valera captured the event through various sketches and paintings, which you can see on her blog here. 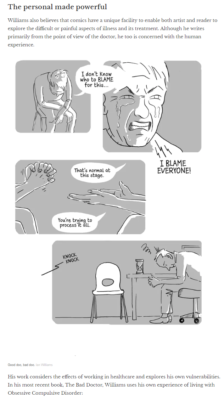 “The great thing about comics is that the medium itself is shot through with irony and self-reflexivity, so you can make a serious point, but then immediately undercut any suggestion of earnestness,” Ian Williams discusses graphic medicine with Emily Haworth-Booth for The Conversation. Read in full here. 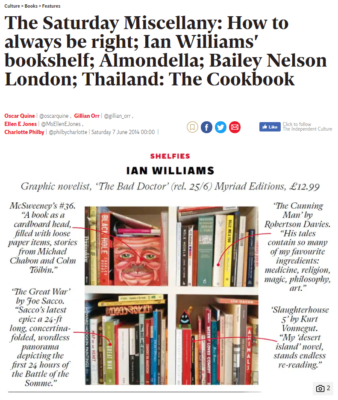 Feast your eyes on Ian’s personal bookshelf via The Independent. Includes titles such as Slaughterhouse 5 by Kurt Vonnegut, The Great War by Joe Sacco and Fran by Jim Woodring.